I was a late lover of reading. I grew up with access to books, reading parents and siblings, but I never really cultivated a passion for books until much later on. 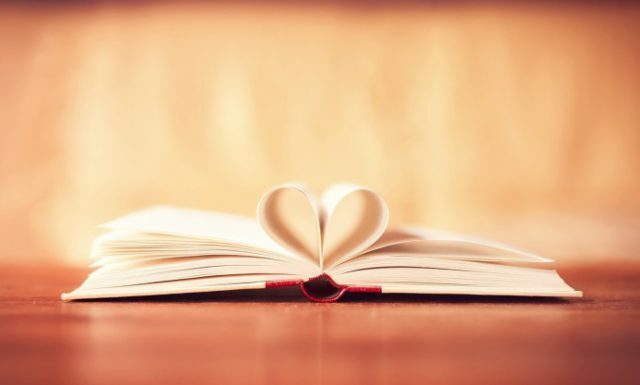 But the great thing about reading is it’s never ever too late to fall in love! It’s a disturbing fact, a scandal, that (too) many South Africans haven’t had the opportunity, and the necessary encouragement, to develop even basic literacy skills, let alone a love—but what about those who can read? The point is: if we want to raise a generation of readers (and I think/hope we do) we need to ensure that we are a nation of readers! There’s a line, generally attributed to Mark Twain, that says those who don’t read have no advantage over those who can’t; those that can read but don’t are inadvertently feeding our country’s low literacy levels. We must demand more from ourselves—we must read more and with intent—this will, for one thing, help to show publishers and marketers that SA reads and that we desire more books in isiZulu, Xhosa, and other homegrown languages. Reading should also challenge us, and so we should not be satisfied with reading ‘at our level’ (#SAMustRise)—we should be ‘raging’ against the light from our comfort zone, expanding our circle of knowledge and compassion in all directions, and so not be afraid to grapple with new ideas towards paving our own personal path both onwards and upwards. Reading requires taking or making time, and it’s a little like meditating: you need time (our most valuable resource) to focus your attention on the world being cast, on the ideas being expressed, and to do your best to understand and feel what is being said: focus. In a world where the truth hurts and ignorance is bliss, how many of us would take the more challenging journey I wonder? Nobody said or thinks It (reading to gain knowledge) will be easy (things worth having usually aren’t): education is not a passive process. True education is actively threatening, learning new things pulls and pushes us in new directions and forces us to combine what we already know with new stories and ideas; it is both ends and means, innovation and freedom. Basic literacy strikes educational bedrock—literally, it’s the very least—and the Good News is that if you’re reading this you are in a position to help our country fall in love with reading one way or another. I think if we are to raise a nation of readers, we must ourselves be proud readers. If we want to encourage young minds to empower themselves for life through reading, we must also lead by example. What are you reading now? And how do you think we can help inspire the youth to cultivate a love of reading? I used to read books avidly in 5th grade, after I had discovered the library. It was my Valhalla. I used to consume more than 10 books a month, you might find that hard to believe, but my math teacher literally had to tear the book away during one of her classes.I growled at some point. I loved horror, sci-fi, fantasy and romance books, those were my poison. I stopped reading like I used to after high school. I guess it wouldn’t be right to say there was no time….Nice blog Christopher! I must say reading this made me feel a little guilty. The desire to read is there but lately I just fall asleep after reading a single page (Don’t read in bed!) and worse I’m in between three novels (Don’t ask!). I need to make time and not leave it for the end of the day when I’m tired and getting in bed. I vow to make my difference and start reading today. Decrease time spent watching the telly for some reading.